Lifeplan 5:2 Diet Support capsules are produced in the UK by Lifeplan. The company is based in Leicestershire and has been producing health and fitness supplements since 1983. Since then it has expanded its range from 33 products to over 280 products. 5:2 Diet Support capsules are an appetite suppressing product marketed particularly towards individuals who are following the 5:2 Diet. The 5:2 Diet is a weight management method that allows dieters to lose weight through a process of intermittent fasting. 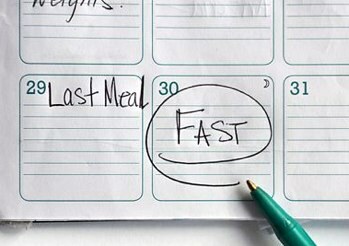 A lot of people claim to have lost considerable amounts of weight by 5:2 dieting, and practitioners can eat normally for five days each week, but they must also commit to two days of strict fasting each week and the resulting hunger pangs often makes the system a difficult one to follow. Intermittent fasting methods have been practiced for many thousands of years. The only thing that makes this one stand out from the rest is the 5:2 ratios; so the diet is essentially a new spin on an old idea and in this case the spin was applied by Dr. Brian Mosley. Mosley believes intermittent fasting can provide effective weight management, while also being conducive to overall good health and he considers it a more natural eating cycle than the several daily meals that are now considered the norm. Mosley says man’s forebears were never guaranteed regular meals. The hunter gathers could only hunt and gather when there were things available to hunt and gather and this was not always the case. A successful day of hunting or gathering may have resulted in a few days of abundance, but less successful days would have left early tribes with little or no food. It is Mosley’s belief that the human body became adapted to this and still functions best when it is allowed regular fasting periods. Several big name celebrities including Jennifer Aniston and Miranda Kerr have admitted using 5:2 dieting to keep the curvy shapes their fans know and love, and the diet does appear to work, but hunger pangs are never easy to live with. Capsules are only required on fasting days. Three (2 capsule) doses are allowed each day and should be taken with two glasses of water. 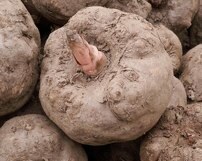 Each capsule contains 500mg of a fibrous ingredient called glucomannan (taken from the root of an Asian plant). Tests have shown the fibers to be a useful appetite suppressant due to their ability to absorb large amounts of moisture (up to 17 times their own mass). Whenever a 5:2 dieter consumes their “support” capsules the two glasses of water cause the glucomannan fibers to swell in their stomach. This makes the stomach feel full and reduces the likelihood of hunger pangs. Glucomannan is not known to be a problematic ingredient so side effects are unlikely, but pregnant and nursing mothers are advised to seek medical advice before using any form of dietary supplement. The same advice is offered to anyone who has any health issues or concerns. Lifeplan products are available all over the world. Sales are made from the official Lifeplan website and via a number of online and offline retailers; so purchasing a supply of 5:2 Diet Support Capsules should present no problem to the majority of consumers. Prices vary depending on supplier and range from $15 to $25. 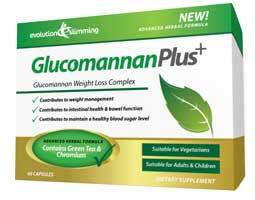 As mentioned above we recommend Glucomannan Plus – arguably the original fasting diet product. It is made from high quality glucomannan as well as essential vitamins and minerals.